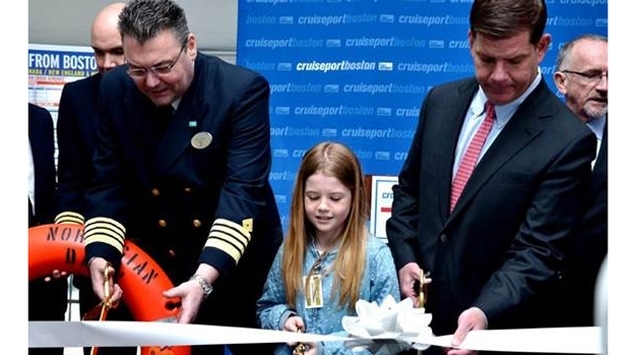 Norwegian Cruise Line, along with Boston Mayor Martin Walsh, officially kicked off the 2014 cruise season at Cruiseport Boston today in a ribbon cutting ceremony featuring a number of local and state officials, along with Norwegian Dawn which arrived in Boston for her first cruise to Bermuda. Norwegian Dawn’s Captain Teo Grbic and Norwegian Cruise Line’s Executive Vice President of Global Sales and Passenger Services Andy Stuart were on hand for the event held at the Black Falcon Cruise Terminal. Also in attendance were Boston Harbor Association President Vivian Li, Representative Nick Collins, City Council President Bill Linehan and City Councilor At Large Michael Flaherty. Bermuda’s Ministry of Tourism and Transportation representative Larry Jacobs and Pat Phillip-Fairn, Chief Product and Experiences Development Officer for the Bermuda Tourism Authority were also among the attendees. Following the ceremony, the special guests enjoyed a tour and lunch onboard Norwegian Dawn. Today marks the first of Norwegian Dawn’s 22 round-trip cruises to Bermuda. The ship will depart on Fridays from Cruiseport Boston and sail seven-day Boston to Bermuda cruises from May 9, 2014 to October 31, 2014, with three days at the Royal Naval Dockyard in Bermuda. Fares start at $759 per person based on double occupancy. Norwegian Dawn will also sail a series of Canada & New England cruises from Boston to Quebec in September and early October. 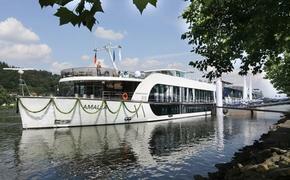 Fares start at $749 per person, double occupancy. The 2,224 passenger, 15-deck Norwegian Dawn boasts more than 1,000 ocean view staterooms - more than half with private balconies. Norwegian Dawn also offers 5,000 square-foot garden villas with stunning panoramic views of the ocean, open-air dining, whirlpool and private sunning and relaxation areas. Additionally, Norwegian Dawn features 10 restaurants, 12 bars and lounges, two pools, extensive kid and teen facilities, a sports deck, casino, fitness center and spa. The ship was purpose-built for Norwegian’s Freestyle Cruising experience, which gives guests the flexibility and freedom to create their own schedules onboard.